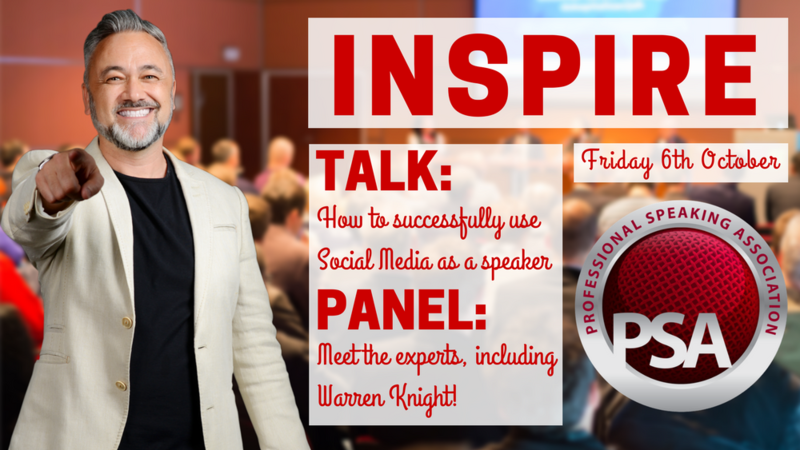 In this thought provoking seminar with Social Media Strategist; Warren Knight, you will learn how to turn visitors into prospects and win new business through Social Media as a speaker. Warren will walk you through his proven step-by-step social media roadmap to achieve the end goal of generating brand awareness through Social Media as a speaker. Warren’s vision is to help 100,000 companies go through a profound digital transformation of their business and organisational sales and marketing activities by 2020. To reach this goal, Think Digital First is a methodology, book and an online education company offering video courses in social media, digital marketing, and business skills. Founded in 2015.